Yesterday Nate was reading ESPN.com and there was a giant ad for Tiffany & Co. Of course I asked if the computer was showing him that ad because he had just bought me something from Tiffany for Valentine’s Day, to which he replied, “Oh yeah, I bought you tons of presents for a made-up holiday.” And then we both totally laughed. Yeah, we’re romantic like that. Don’t get me wrong, I love celebrating Valentine’s Day with our kids and I honestly don’t have anything against Valentine’s Day per se. In fact, any excuse to make pretty cookies and give them to friends and neighbors is fine by me. Valentine’s Day aside, I have been thinking a lot about love lately, for many reasons that I won’t get into. You know the Beatles song All You Need is Love? That line has become cliché by now, but I really do think all you need is love. I can’t help but imagine how different the world would be if everyone loved first. Now, I know life isn’t always that simple. But I can’t help but think if we did love first that we’d all be kinder, more patient, more giving, more forgiving. At least I know I would be. Sometimes it’s not easy to love, but that’s what makes it all the more powerful. Nate and I teach the 16- and 17-year-olds at our church each Sunday. There is a lot to think about in this life, especially when you’re becoming an adult and navigating those often choppy waters. But I am surprised how often, when I am teaching them, it all comes back to loving others and serving without judgment. It’s so simple and yet one of life’s greatest challenges. Nate’s Gram Maynard lived a life of love. We all knew she was amazing and most certainly the kindest person we had ever known. She knew what it was to love unconditionally and was a great example to me. When she died, we were all heartbroken. The world needed Gram. At her funeral there was time set aside for anyone who wanted to speak to do so. It was beautiful (and not at all surprising) to hear stories from people we didn’t know, sharing how Gram had served them and touched their lives in profound ways. We knew that she had loved. We knew she had served. We just didn’t know how much. 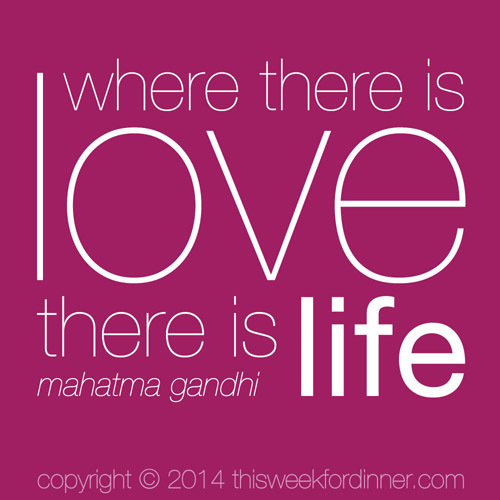 I recently saw this quote from Mahatma Gandhi somewhere and it really resonated with me: Where there is love there is life. When I think of Gram, a pure example of love, I can’t help but think of the full life she lived. A quiet life, filled with quiet acts of love. Her life was unremarkable by the world’s lofty standards. She was from the South Shore near Boston and lived there her entire life. She raised five children. 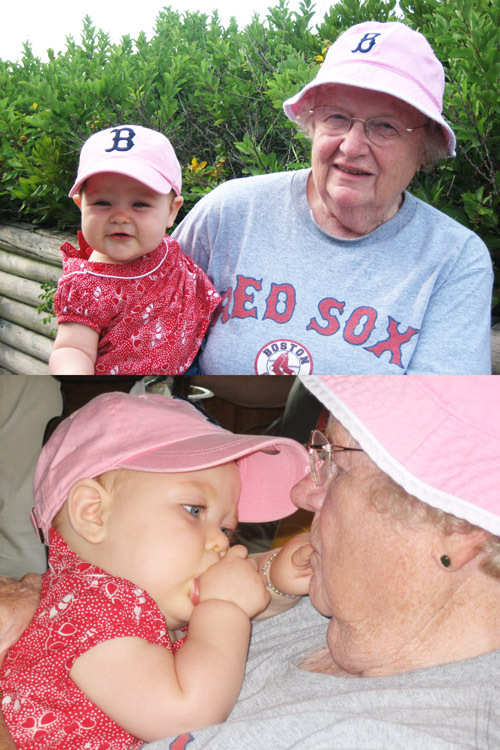 She stood by the Red Sox through thick and thin. She had the most marvelous accent, once telling Nate’s mom she could find the fox in the dishwasher (10 points if you can figure that one out). She hardly ever cooked, but when she did it was always for others – I don’t know how many tins of her chocolate chip cookies were carried by postal workers nationwide. I don’t even think she ever flew on a plane. And yet, her love filled so much more of the world than just the South Shore. Her love made ripples that have been felt far and wide. She filled the world with life by simply loving. She was more remarkable than anyone could probably comprehend. Like I said, lots on my mind lately. But I keep clinging to this word: love. I need to let it fill me the way it did Gram. I need to let it spill over. If you click here or on the quote at the beginning of this post, you can download a pretty pdf of the Gandhi’s quote. Happy Valentine’s Day!